American Wolf: Elvis At Sun: A Survey. Elvis At Sun: A Survey. Elvis Presley was a recording artist at Sun Records for about a year & a half--from the summer of 1954 through the end of 1955. In that time, he released 10 sides over 5 singles, which have rightfully gone on to become ground zero for rock & roll music. Over the years, various anthologies of Sun material have appeared--literally once every decade--each with its own merits. What follows is a survey of them, followed by a recommendation for a new one. I did not bother ranking them on a 5-star scale because the material is excellent & they are all essentially different versions of the same story. The Original: The Sun Sessions (RCA, 1976). The concept of putting (almost) all of Elvis's Sun recordings in a single place; "I Don't Care If The Sun Don't Shine" makes its album debut. #11 on Rolling Stone's 500 Greatest Albums Of All-Time (2004); #21 on VH1's 100 Greatest Albums Of Rock & Roll (2001). Despite the countless reissues RCA released while Elvis was alive, it appears that no one thought to put out a collection of his Sun material until 1976 (perhaps they were waiting for the Bicentennial?). As such, The Sun Sessions was the first time such a collection was assembled, & while it contained only one unreleased track--the alternate take of "I Love You Because" (although "I Don't Care If The Sun Don't Shine" had never appeared on LP before)--hearing all of the rest assembled in place was a revelation. It may not have been perfect--I would like to know why "I Don't Care If The Sun Don't Shine" appears before its A-side "Good Rockin' Tonight" & "I'm Left, You're Right, She's Gone" appears before its A-side "Baby, Let's Play House"--but it was first, & sometimes that's all it takes. Although there were more Sun recordings were in the ether ("Tomorrow Night," which had only appeared in a badly-overdubbed version on a compilation LP in 1965 & "Harbor Lights," which appeared on Elvis: A Legendary Performer, Volume 2 earlier in 1976), this was the basic canon, at least as it was known at this point in time. & even with its flaws, its missing material, & its ugly cover, it was a crowning achievement. When Rolling Stone issued their 500 Greatest Albums Of All-Time list in 2004 to commemorate the 50th Anniversary of the birth of rock & roll (Elvis's recording of "That's All Right" in 1954), The Sun Sessions LP appeared at #11 on the list. It beat out the likes of Jimi Hendrix's Are You Experienced, The Velvet Underground & Nico, The Beatles' Abbey Road, Bruce Springsteen's Born To Run, Michael Jackson's Thriller, & Nirvana's Nevermind, even though it had been out of print for nearly 3 decades. Subsequent revisions of the list would substitute the excellent 2-disc expansion Sunrise (see below), but like with so much else in rock, it appeared that the original was still the greatest. 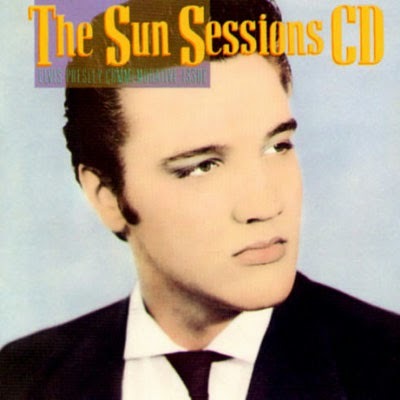 The Classic: The Sun Sessions CD (RCA, 1987). The Sun masters are completed, as "Harbor Lights," "Tomorrow Night," "When It Rains It Really Poors" & the slow version of "I'm Left You're Right, She's Gone" & TONS of alternate takes! Included in Rolling Stone's 200 Essential Rock Albums (1997). A great collection that fixes the issues of its LP forerunner. First, the single sides appear in the proper order. Secondly, & more importantly, for the first time, all the Sun masters are gathered in one place. It also included all of the existing outtakes (almost!--see below), which what it lacked in programming (have you ever listened to endless takes of "I'm Left, You're Right, She's Gone (Slow Version)" back to back? ), it made up for in historical importance. With the CD still in its relative infancy, RCA decided to issue the complete set on double vinyl & a single long-playing cassette; hence the 5 songs above left off of the CD to keep it on a single disc. What this meant is that if you bought the LP or tape, you were getting the complete collection of Elvis's Sun recordings, which is to say every known take that existed up to that time. The CD nearly gave you the same thing, although only a completist would notice the difference. Still, it was excellently executed & one of the first major CD collections to make ample use of a compact disc's 80-minute running time. The Modern Classic: Sunrise (RCA, 1999). Lots of stuff--the previously-unknown private recordings that Elvis made on his own dime, 2 demos from the period recorded at a Texas radio station that were first included in his boxed set of complete '50s masters, & live recordings from the Louisiana Hayride; Sunrise also marks the first time that "I'm Left, You're Right She's Gone (Slow Version)" is included among the masters & not the alternate takes. Time's 100 Essential Albums (2006); subsequent revisions of Rolling Stone's 500 Greatest Albums Of All-Time (since The Sun Sessions LP is long out-of-print & Sunrise lives on in iTunes). A well-made & worthy reissue that nonetheless could have been even better. When Sunrise came out, it was marketed as the fuller, more complete version of The Sun Sessions CD, & everyone seemed to take it at its word. However, Sunrise had only one alternate take of each song, meaning that the initial meat of the set--the Sun Records recordings--was incomplete. Even more frustrating was the fact that all of the unused alternates could have easily fit on the second disc. These could have been included along with (or perhaps in place of) the Louisiana Hayride recordings, which are historically valuable but are so poor in audio quality that they likely were never going to be listened to more than once. I suspect the live recordings were included so that the CD could list more distinct song titles, even though they were not nearly as listenable as anything else on the disc. (Furthermore, if it was to show the range of Elvis's then-current setlist, it also fails, as it leaves off his Louisiana Hayride version of "Maybellene," which had previously been issued on his complete '50s boxed set). All of which is to say that although this is the first official double-CD of Elvis's Sun material, it ends up being a bunt instead of a home run. I believe that the RCA powers-that-be should've either expanded it to include all of the alternate takes to make it as complete as the Sun Sessions double-LP & cassette incarnation or left off the live recordings & make one cherry-picked disc. Another far subtle feature of Sunrise is that it is the first to place "I Forgot To Remember To Forget" as the A-side of his final single, as opposed to "Mystery Train." This was done because "I Forgot To Remember To Forget" was Elvis's first national #1 single (on the Country & Western charts), & thus was determined to be the lead single in hindsight. In reality, both sides were released against each other, both battled for more airplay, & in the end, both charted nationally ("Mystery Train" hit #10 on the Country & Western charts). However, given the blues-rocker-backed-by-country model of every other single, I believe that Sun Records producer Sam Phillips intended "Mystery Train" to be the hit side & that it should appear before "I Forgot To Remember To Forget," like it does on The Sun Sessions LP & CD. From this point on, however, the reverse would be accepted as the standard, which to me sounds out-of-sequence with the rest of the singles. Still, all that said, it is nice to have Elvis's 4 priceless private recordings assembled in one place for the first time. Until Sunrise, they were released bit by bit: "My Happiness" on The Great Performances CD, "That's When Your Heartaches Begin" on The Complete '50s Masters boxed set," & "I'll Never Stand In Your Way" on the Platinum: A Life In Music boxed set; "It Wouldn't Be The Same Without You" was issued here for the first time. It is also nice to have the versions of "Fool, Fool, Fool" & "Shake, Rattle, & Roll" that were cut at a Texas radio station during the Sun years (which first appeared on The Complete '50s Masters boxed set). Finally, it is nice to have it all live on in iTunes, even as CD versions of the album have grown scarce. 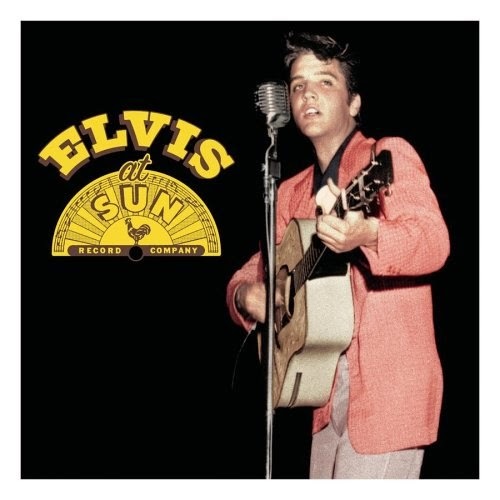 The Post-Modern Classic: Elvis At Sun (RCA, 2004). The sound, which is mastered so that the records sound more direct than ever before. Some have been skeptical of this, the Elvis sessions website has staunchly defended it. "When It Rains, It Really Pours" appears in a 2-minute master without any of the studio dialogue from the earlier issues & for the first time, the songs are presented in the order in which they were recorded, as opposed to the previous versions that put Elvis's 10 single sides up front, followed by the songs not originally issued. Included in 1,000 Recordings To Hear Before You Die (2008). Issued for the 50th anniversary of Elvis recording "That's All Right," Elvis At Sun was presumably to put a one-disc closer-to-budget-priced Sun collection on the market to provide an alternative to the 2-disc Sunrise. As such, it leaves off all of the private recordings, radio station demos, & live recordings for the 19 "modern" masters, soup to nuts, with no frills. For some unbeknownst reason, the producers included the alternate version of "I Love You Because" instead of the master. This was probably because the master version issued from RCA was a splice between 2 different takes. Still, I believe that they should have included the spliced RCA master & tack on the alternate version of "I Love You Because" at the end, a la the original Sun Sessions LP. 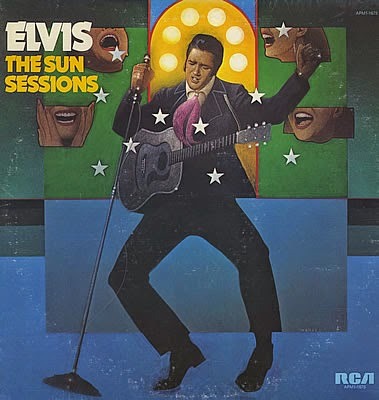 This one song notwithstanding, Elvis At Sun is the closet to the original Sun Sessions LP than anything that had appeared since. It simply collects all the master recordings in one place. As for the sound, it definitely is more immediate, but I've always chalked that up to the way in which CDs have been remastered. To my ears, The Sun Sessions CD now sounds like a CD from 1987--good but muffled; it needs to be turned up to fully appreciated. I also always found the Sunrise CD set to mastered a bit too quietly as well, especially when compared to the brightness of a collection like ELV1S: 30 #1 Hits, which was released only 3 years later. Elvis At Sun sounds to me less like a tampering with the original recordings than it does a more modernly-mastered recorded that puts the music more front-&-center than its predecessors. But in all such aesthetic cases, you ultimately just have to decide for yourself. Lots of stuff--including every extant master (regular & overdubbed), alternate take, & live recording. Completely new are some of the takes of "Harbor Lights," "Blue Moon," "When It Rains It Pours," & some of the dialogue fragments; the outtake versions of "How Do You Think I Feel" (on which you can only hear Scotty Moore's electric guitar, not Elvis); & some of the live recordings, including the recently-discovered live recording "Little Mama." Also, & of course, no collection had gathered all of this material so exhaustively. Tons of glowing reviews from the Elvis blogs, almost all of which lament the fact that it was a limited-time release that has since gone out of print. An anthology fit for a King. Elvis fans are such a rabid force that the Elvis powers-that-be created Follow That Dream (FTD) Records, which has been tasked with reissuing collector's editions of Elvis's recordings. 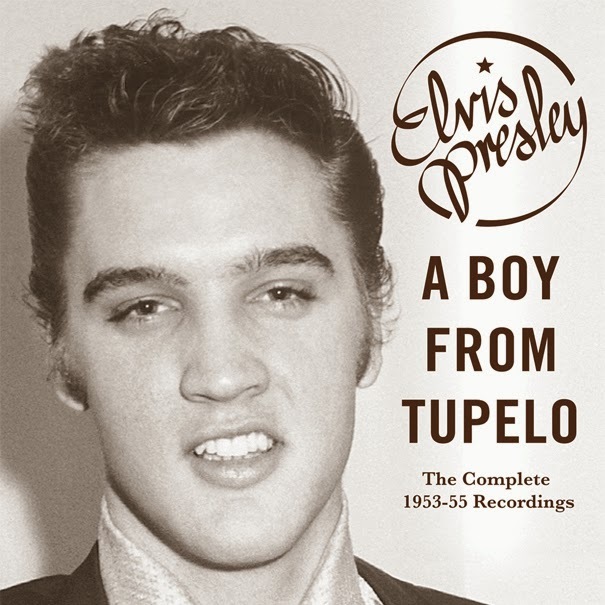 While most chronicle obscure movie soundtracks or periods of recording, the A Boy From Tupelo set is the rare FTD that deserves to be issued on the main RCA label. At the very least, the first 2 discs should be put out as a "Complete Sun Studio Sessions" set. It fixes all the problems of the previous collections with its completeness. For example, on a song like "I Love You Because," the set includes the spliced version from Elvis's first RCA album, along with the 5 takes that survive from the original recording session. No piece is too small--such as the recently-discovered 10-second clip from the slapback fragment of "Good Rockin' Tonight." With entire masters missing long ago (such as for songs like "Milkcow Blues Boogie" & "You're A Heartbreaker," which were mastered from 78 records), this is a testament to everything we have--until something new is discovered. Pretty much the only critique that can be made is that it was a limited-release set that is now woefully out-of-print. Besides that, there is nothing missing because this set literally has everything. The Recommendation: Sunrise: Elvis Presley's Sun Sessions. I recently discovered that if you take Sunrise, leave off the live recordings at the end, & use the edited "master" version of "When It Rains It Pours" that was issued on Elvis At Sun, it all fits onto a single disc. Therefore, I propose to do just that, fitting all of Elvis's masters--& a sampling of alternate takes--onto one CD. I like the Sunrise model of putting the 10 single sides upfront first (with "Mystery Train" appearing before "I Forgot To Remember To Forget"), followed by all of his other masters in chronological order, which in turn are followed by the private recordings & alternate takes that provide a sort of alternative history of the music. I also like Sunrise's cover, which I would also keep. One thing I would change is the sound quality. 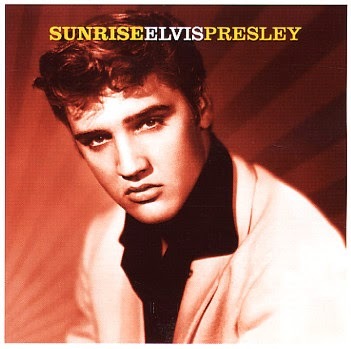 Even as an iTunes download, Sunrise sounds kind of low & muffled & would benefit from a remaster to make it more along the lines of Elvis At Sun. So basically, if you take the essence of Sunrise, edit it around a little, & make it sound like Elvis At Sun, you have a definitive single-disc set. Until they figure out a new way to release A Boy From Tupelo on a larger scale--or simply discover new hereto-unknown pieces of the puzzle.